Artin was born in Hamburg, Germany, and brought up in Indiana. His parents were Natalia Naumovna Jasny (Natascha) and Emil Artin, preeminent algebraist of the 20th century. Artin's parents had left Germany in 1937, because Michael Artin's maternal grandfather was Jewish. Artin did his undergraduate studies at Princeton University, receiving an A.B. in 1955; he then moved to Harvard University, where he received a Ph.D. in 1960 under the supervision of Oscar Zariski, defending a thesis about Enriques surfaces. In the early 1960s Artin spent time at the IHÉS in France, contributing to the SGA4 volumes of the Séminaire de géométrie algébrique, on topos theory and étale cohomology. 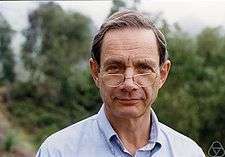 His work on the problem of characterising the representable functors in the category of schemes has led to the Artin approximation theorem, in local algebra. This work also gave rise to the ideas of an algebraic space and algebraic stack, and has proved very influential in moduli theory. Additionally, he has made contributions to the deformation theory of algebraic varieties. He began to turn his interest from algebraic geometry to noncommutative algebra (noncommutative ring theory), especially geometric aspects, after a talk by Shimshon Amitsur and an encounter in Chicago with Claudio Procesi and Lance W. Small, "which prompted [his] first foray into ring theory". In 2002, Artin won the American Mathematical Society's annual Steele Prize for Lifetime Achievement. In 2005, he was awarded the Harvard Centennial Medal. In 2013 he won the Wolf Prize in Mathematics, and in 2015 was awarded the National Medal of Science. He is also a member of the National Academy of Sciences and a Fellow of the American Academy of Arts and Sciences (1969), the American Association for the Advancement of Science, the Society for Industrial and Applied Mathematics, and the American Mathematical Society. ↑ O'Connor, John J.; Robertson, Edmund F., "Michael Artin", MacTutor History of Mathematics archive, University of St Andrews . ↑ From the MacTutor biography: "His main research area changed from algebraic geometry to noncommutative ring theory". ↑ List of Fellows of the American Mathematical Society, retrieved 2012-11-03. Wikimedia Commons has media related to Michael Artin.